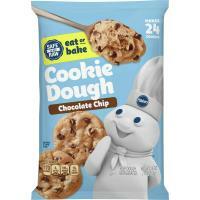 A little bit of fun is rolled up into every roll of Pillsbury Refrigerated Cookie Dough. The recipe possibilities for cookies, bars, and desserts are endless! There's no measuring and no mixing -- just creativity! Great for a quick snack very good.